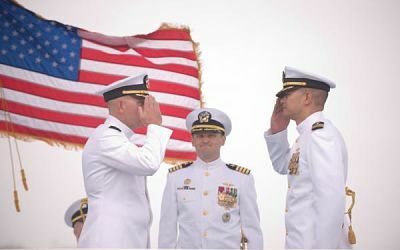 All 2019 Flag Officer announcements for the U.S. Navy. Flag Officers have reached the rank of Rear Admiral Lower Half, Rear Admiral, Vice Admiral, and Admiral with a O-7 pay grade and above. Navy Adm. Bill Moran for reappointment to the rank of admiral, and assignment as chief of naval operations, Pentagon, Washington, District of Columbia. Moran is currently serving as vice chief of naval operations, Pentagon, Washington, District of Columbia. Navy Vice Adm. Robert P. Burke for appointment to the rank of admiral, and assignment as vice chief of naval operations, Pentagon, Washington, District of Columbia. Burke is currently serving as deputy chief of naval operations for manpower, personnel, training and education (N1), Arlington, Virginia.